Skangas owns and operates a value chain for production and distribution of liquefied natural gas (LNG) to the industry and transport sector in the Nordic market. Skangas with its office and production facility in Tanager (in Sola county, Norway) was established in 2007. Lyse have reduced its shareholdings in Skangas in three steps: in 2014 51% of the shares was sold, additional 19% of the shares was sold in 2017. The agreement for the divestment of the remaining 30% of the shares was signed in Stavanger today. Lyse have through Skangas contributed to environment friendly energy solutions and to establish lasting jobs in the region. The investment has given a good return on investment for Lyse which is owned by 16 municipalities. 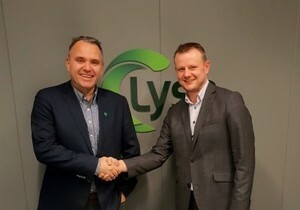 Lyse have with this transaction exited the LNG and will in the energy segment going forward mainly focus on its strategy related to efficient utilization of adjustable hydropower. The new Lysebotn hydropower station, which was opened last month, position Lyse well for hydropower’s new role in Europe. Gasum will through its 100% ownership in Skangas be even stronger positioned to build and develop the Nordic gas ecosystem and to respond to growing demand for cleaner fuel solutions.